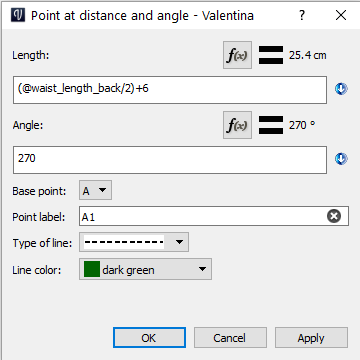 You need to open the measurement file here: Then when you draw your line, you click on the formula button here: Select the measurement, click on the yellow hand to put it in the bar and click on ‘OK’: Then you can add things to your formula, set the direction, line type & color: Then click on ‘OK’ again and your 1st line will be made. 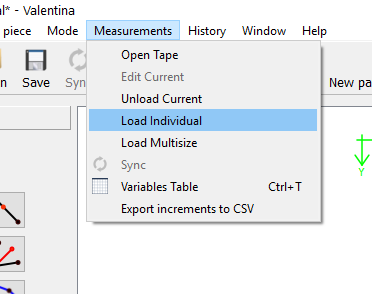 Did you save the measurement file as in Tape? 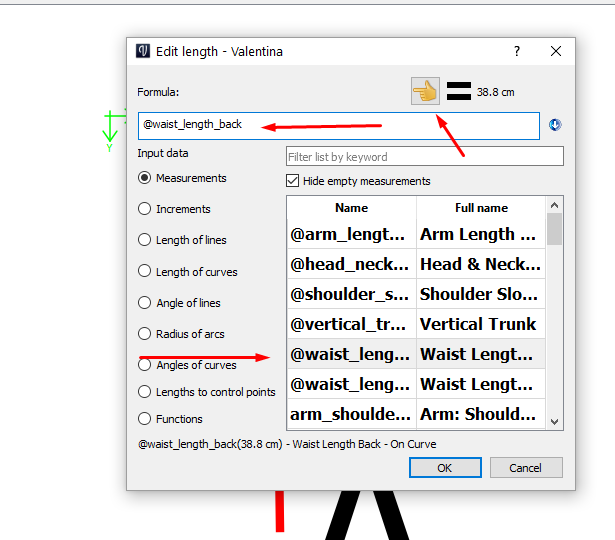 If so, the when you open Valentina, you choose New to start a pattern, then you choose Measurements on the file menu, click on Individual and find your measurements file that you created in Tape. 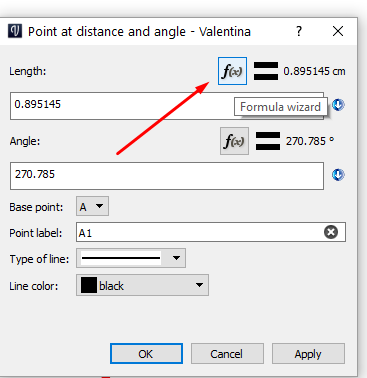 Once you have done that, you should see them in the formulas. When I started, I followed the one from Timelace Studio. It got me going.